Just found out about gluten. I am gluten free for about 6 months. Its has helped my health and weight. Feel much better not eating it. I am very health conscience and eat right and exercise. 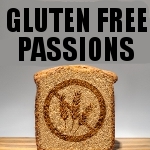 Gluten Free Has Been Great for Mn Been gluten free for 6 years. Does arichter101ae belong in this group?